In one day, 500 million plastic straws are being handed out. People use them and then dispose of them after they are done… But then what? Plastic straws have been around since 1888. 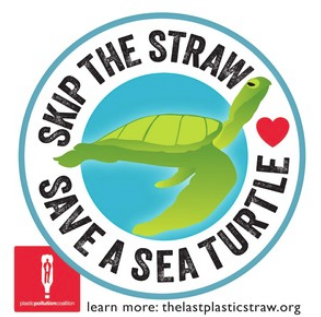 People all over the world use a plastic straw at least once a day. We were once told that they were good to use, but recently the plastic straw has been deemed unfit for our environment. A recent photo of a turtle with a plastic straw lodged into its nose has surfaced onto the internet. That is what sparked this whole plastic straw dilemma. For quite some time, it was believed that plastic straws did no harm. Now, we have come to the conclusion that the straws are no good for the environment. They are too lightweight to make it through a mechanical recycling sorter, so instead they are dumped into the ocean. There are many ways the straws end up where they do, but it is mainly just human error. Who doesn’t love a good day at the beach? Well, what happens when you are out in the sun all day? You get thirsty and go order a cool, refreshing beverage. It is very common for people to want a straw to slurp down their beverage. Then from there, they either throw the straws out and they then naturally blow out of the trash cans or they just leave their trash laying on the beach for the tide to clean up. Even students at Lakewood High School are enraged at this issue. “Plastic straws are harmful not only to the environment in general, but especially in the Cleveland area-where our beloved Lake Erie happens to be one of the most polluted of the Great Lakes,” said senior Dean Danckaert. Regardless, the straws always manage to make their way into the tides and into the homes of innocent animals, up their noses and invading the peaceful places of the oceans.